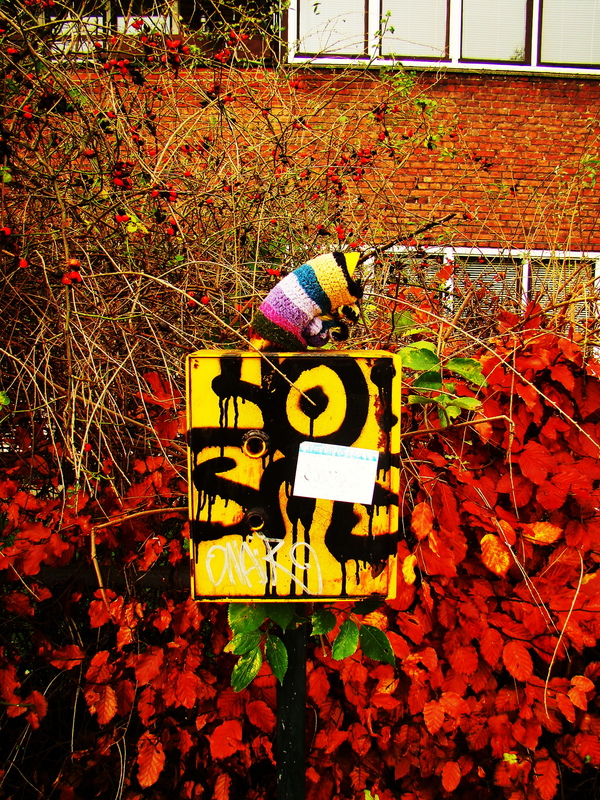 on a walk through vaernedamsvej in copenhagen, i did a double take…is that a sock on that sign? 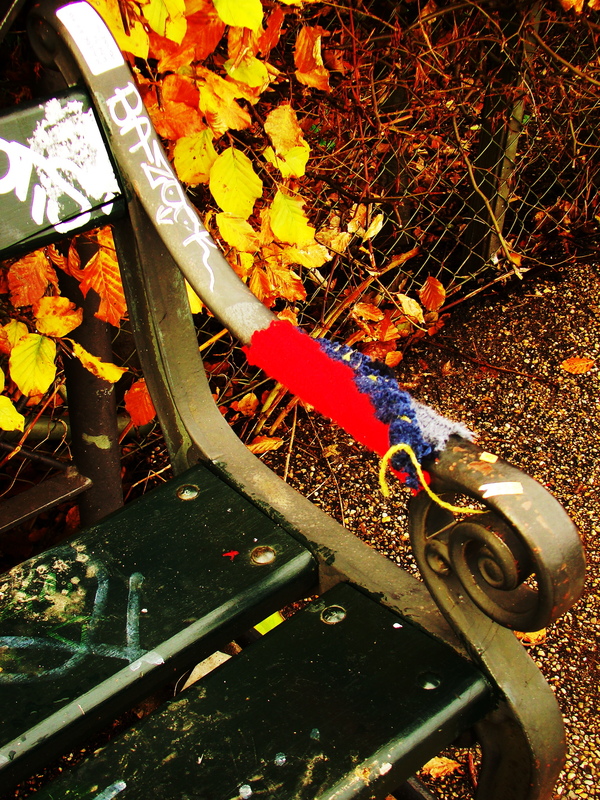 on closer inspection, i realised it was a little piece of love in the form of knitted street art. 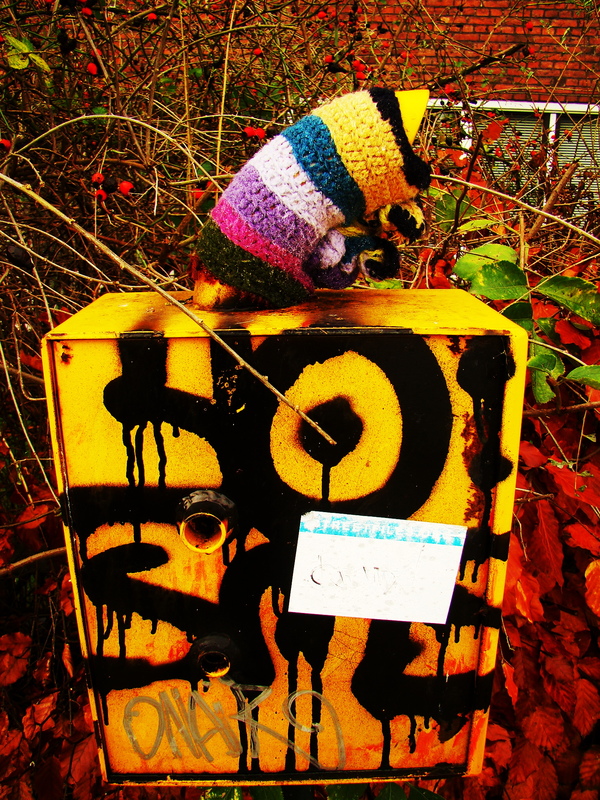 guerrilla knitting, urban knitting, yarnbombing, whatever you want to call it, it’s been popping up everywhere from austin to australia for years. 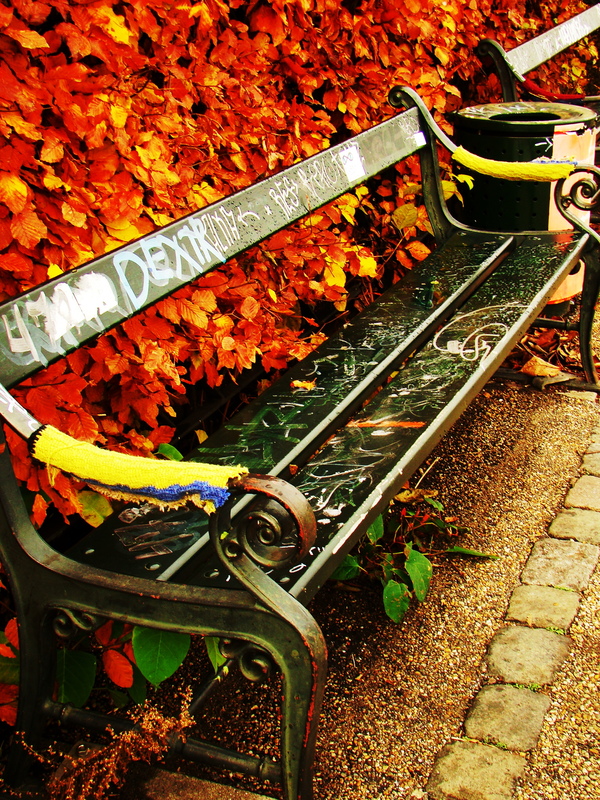 but it’s so lovely to come across it by chance. 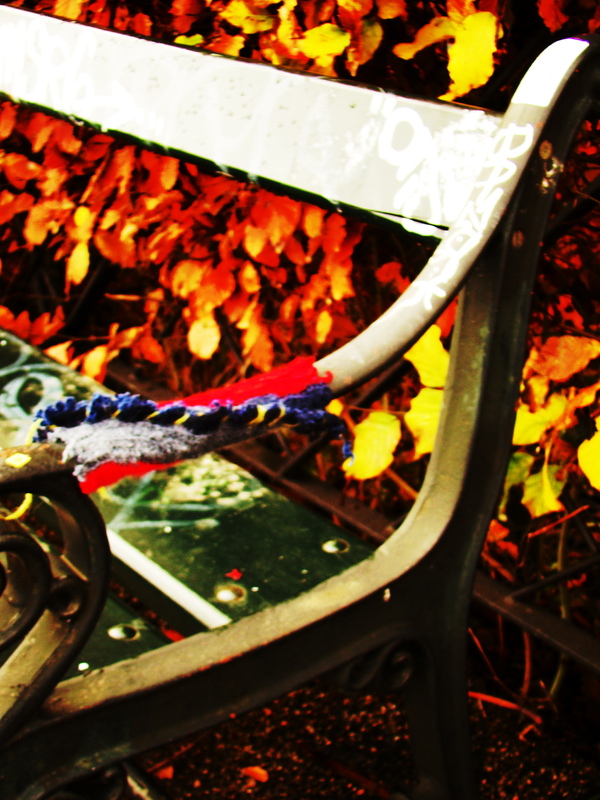 check out the work of knitta please, the ‘original knit graffiti crew’, at http://www.knittaplease.com.